Great opportunity to own three businesses in one place. 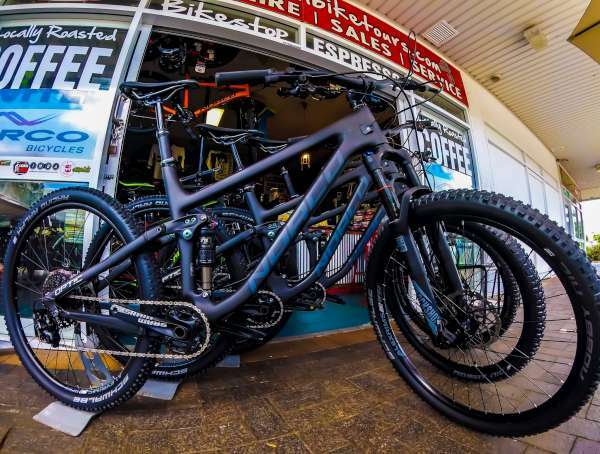 Cairns Mountain Bike Tours is a rider owned and operated business that offers guided mountain bike tours and mountain bike hire along with a retail Bike Shop and Coffee Shop at their headquarters. The business is located 200 metres from the entrance to the Cairns Mountain Bike Park (officially known as Smithfield Regional Park) in Smithfield, Cairns in Tropical North Queensland. Cairns Mountain Bike Tours have a 15-year permit to utilise this amazing 300 hectares of forest reserve to explore and operate their tours. ULTIMATE Norco Bicycles and Merida Electric bikes dealer.